Professor Porter’s research focuses on empirical studies of consumer bankruptcy and has been published in journals including the Texas Law Review, the Georgetown Law Journal, the American Bankruptcy Law Journal, and the Cornell Law Review. She is the author of the textbook, Modern Consumer Law (Wolters Kluwer 2016), a co-author of The Law of Debtors and Creditors (Wolters Kluwer 2014). She edited Broke: How Debt Bankrupts the Middle Class (Stanford Press 2012), which showcases interdisciplinary empirical research. Professor Porter has been a principal investigator in several original empirical projects, including the 2007 Consumer Bankruptcy Project and the Mortgage Study. With Professors Lawless, Thorne, and Foohey, she is conducting an ongoing data collection on families filing bankruptcy. Her public and professional service includes positions with the Uniform Law Commission, the World Bank, the Consumer Financial Protection Bureau, and the Federal Judicial Center. 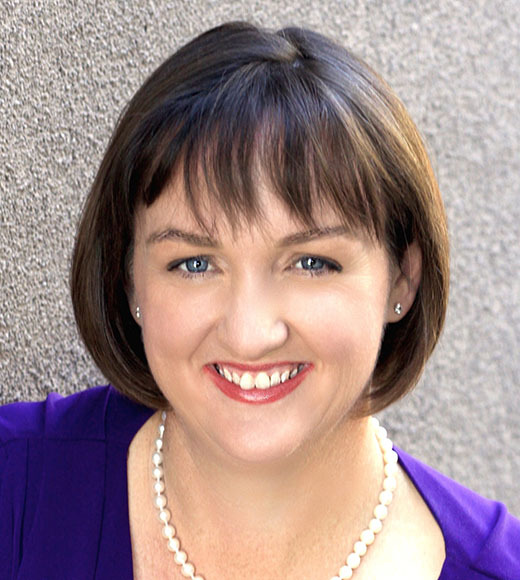 Professor Porter has received awards for her academic and service work, including selection as one of the Top 100 Lawyers in California in 2012, receipt of the Champion of Consumer Rights Award from the National Association of Consumer Bankruptcy Attorneys, and the award of the Editors' Prize from the American Bankruptcy Law Journal for best article. In March 2012, Professor Porter was appointed by California Attorney General Kamala Harris to be the state’s independent monitor of banks in a nationwide $25 billion mortgage settlement. As Monitor, she oversaw the banks’ implementation of the settlement reforms and conducted extensive community outreach and education. The Monitor Program reviewed and responded to over 5,000 complaints and intervened with the banks in hundreds of situations. Professor Porter founded a Consumer Protection Clinic at UCI Law to involve students in the Monitor’s work. Professor Porter previously was on the faculty at the University of Iowa College of Law and has been a visiting professor at Harvard Law School, UC Berkeley Law, the University of Illinois College of Law, and the UNLV Boyd School of Law. She practiced bankruptcy law in Portland, Oregon, and clerked for the Honorable Richard S. Arnold of the Eighth Circuit. She earned her J.D. from Harvard Law School and her B.A. from Yale University. Pamela Foohey, Robert M. Lawless, Katherine Porter & Deborah Thorne, "No Money Down" Bankruptcy, 90 S. Cal. L. Rev. (forthcoming 2017). Sara Greene, Parina Patel & Katherine Porter, Cracking the Code: An Empirical Analysis of Consumer Bankruptcy Outcomes, 101 Minn. L. Rev. 1031 (2017). Katherine Porter, Modern Consumer Law (Wolters Kluwer, 2016). Katherine Porter, The Pretend Solution: An Empirical Study of Bankruptcy Outcomes, 90 Texas L. Rev. 103, 111–112 (2011). Cited in the dissent of U.S. Supreme Court opinion, MIDLAND FUNDING, LLC v. JOHNSON, issued May 15, 2017. Co-Host and Presenter, HOPE NOW-Fixes for the Future: A Servicing Summit. Summit goal is to bring together investors and regulators to discuss ways to improve customer experience and discuss how adjusting policy could help customers, Dallas, Texas. Presenter, U.S. Commerce Department workshops on consumer protection in Myanmar (Burma) to government, NGO, and business leaders. Panelist, Servicing Breakout Session, 12th annual Housing Policy Council (HPC) Meeting, Washington, D.C.
Wall Street Journal: Clinton Reaches Out (and Out and Out!) for 2016 Policy Ideas, WALL ST. J., July 5, 2015. New York Times: Loan Complaints by Homeowners Rise Once More, N.Y. TIMES, Feb. 18, 2014. Katherine "Katie" Porter is on unpaid leave beginning January 3, 2019 while she serves as Congressmember for California's 45th district in the U.S. House of Representatives. She does not receive email, telephone calls, or mail at UCI Law while she is on unpaid leave.